For decades, designers of attics and crawlspaces have used cross-ventilation to minimize potential for moisture accumulation and condensation. However, spurred by recent claims of energy savings and moisture control, unvented attics have become popular in both residential and commercial applications. 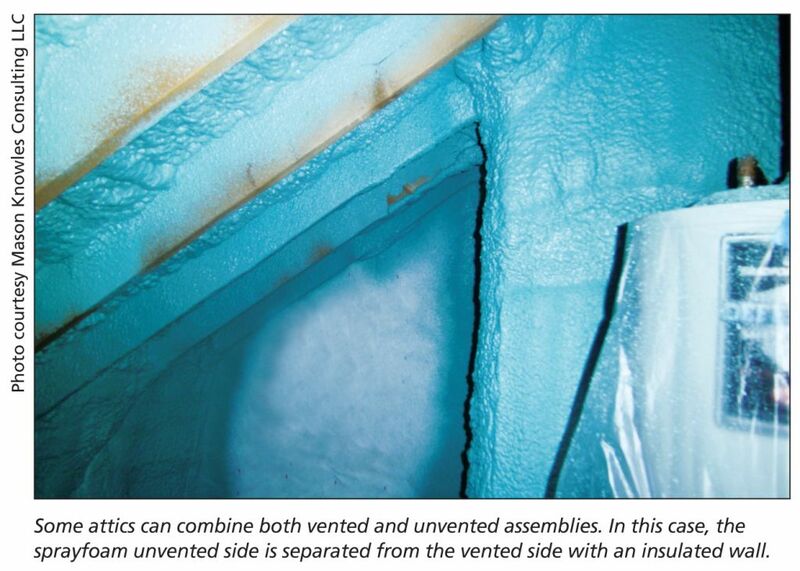 While these attics can be used in many circumstances, this author believes there are reasons to use vented assemblies in many situations. 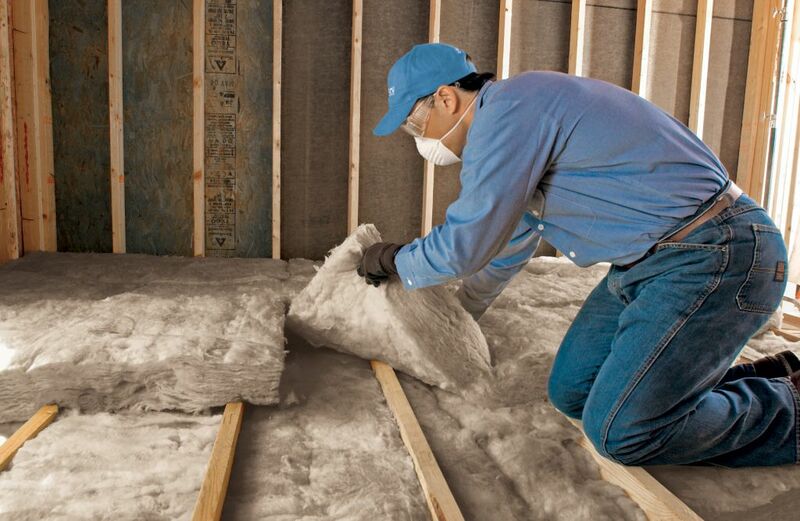 Traditional methods of insulation materials and design call for using air circulation within the attic space to assist in drying excess moisture. In heating and cooling climates, this moisture could potentially travel through fibre insulation in building cavities. The traditional remedy to this wetting is to slow the influx of moisture-laden air into the cavity by using an interior vapour retarder, and by ventilating the roof cavity to the exterior to facilitate drying. 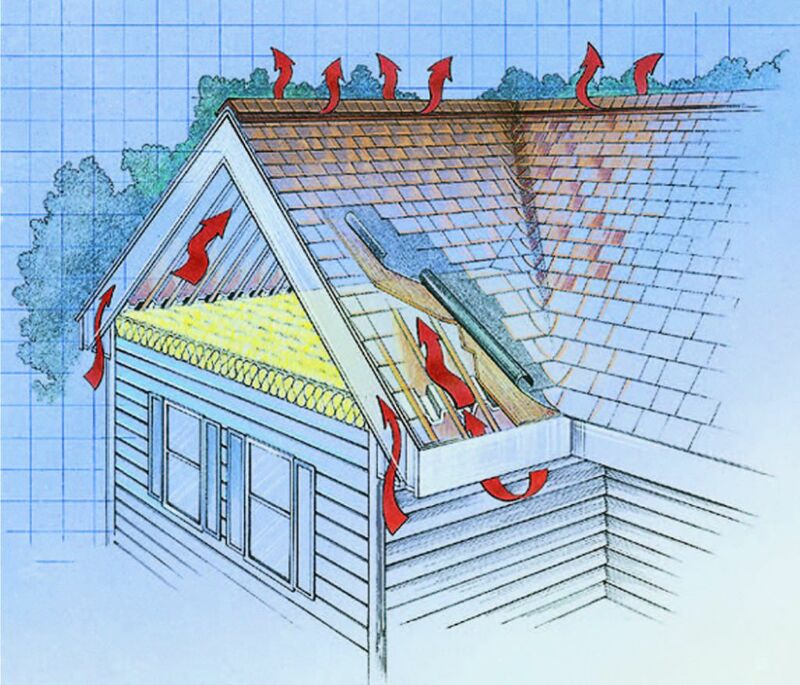 Attic venting can reduce the potential for condensation in winter and summer. During winter, the primary cause of attic moisture issues stem from warm moist air infiltrating into the attic space from the inhabited areas and condensing on cold surfaces. 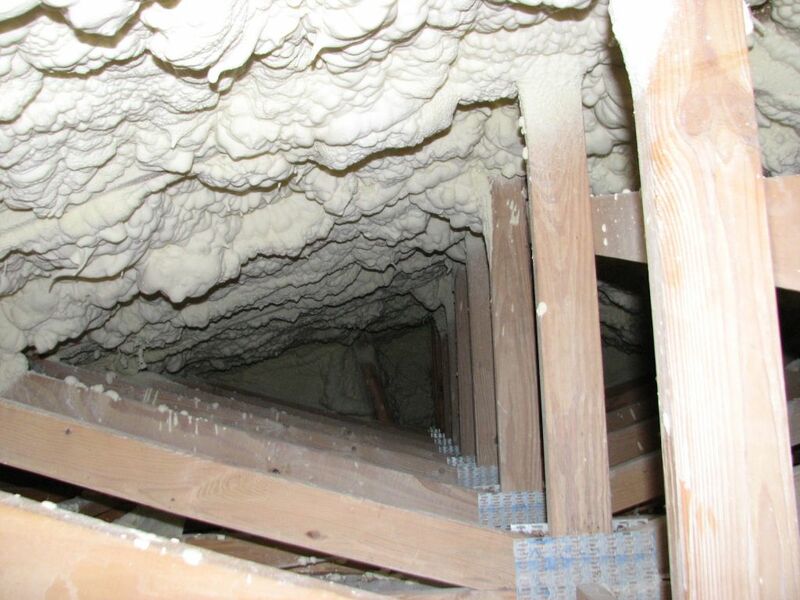 This can be intensified when lights, pipes, vents, and other penetrations pierce the attic floor. Too often, mechanical ventilation ducts from bathrooms, kitchens, or laundry rooms deposit warm, moist air into the attic instead of outside the building envelope. A combination of air-sealing and insulating the attic floor while providing ventilation considerably reduces potential for condensation, as warm moist air is less likely to enter the space and condense on cold surfaces. As a result, cooler, less humid air from outside can be drawn in from soffit vents placed on the roof’s lower portion, and flow through to rooftop or ridge vents, replacing warmer moist air that may have infiltrated into the attic. Dewpoints for various temperature and humidity levels. In the summer, warm moist air mostly comes from outside the building. As such, it would seem venting the attic would increase the potential for condensation. However, the opposite is true when the attic floor is air-sealed and insulated. Even when outside air is hot and humid, if the attic space is air-sealed from the interior, it is much hotter than outside air. The hotter the air, the more moisture (i.e. absolute humidity) the air space can hold. Therefore, replacing the hotter attic air with cooler outside air—even at a considerably higher relative humidity (RH)—tends to dry the space, minimizing potential for condensation. As Figure 1 demonstrates, if the outside air is 32 C (90 F) and 70 per cent RH—quite possible in many parts of Canada during the summer—it is drier than interior attic space which is 43 C (110 F) at 40 per cent or higher RH. This design is less efficient when HVAC equipment and ductwork is in the attic space. In these instances, systems have a harder time maintaining the desired temperature. Air within ducts has a difficult time maintaining temperature when the space is overly hot or cold and must extend for long runs. In moderate climates, this does not pose a significant issue. However, in more extreme environments, including much of Canada during winter, it can be a problem. For example, depending on roof colour and orientation to the sun, attic air temperatures can exceed 55 C (131 F) when it is less than 38 C (100 F) outside. This hot interior can make the ducts and HVAC equipment work much harder to reduce the temperature to comfortable levels. This is more pronounced if the ducts are leaky and HVAC equipment is drawing air from the attic space itself. Also, if the exterior surfaces of the HVAC equipment or ductwork reaches 26 C (79 F), it only requires 21 per cent RH to cause condensation. Unvented attics rely on an air-impermeable insulation installed to the roof deck’s underside (i.e. attic ceiling) to stop airborne moisture from reaching a cold surface and condensing inside the building envelope. In this design, insulation effectively separates the interior and exterior spaces while slowing down moisture flow so the dewpoint is not achieved within the building envelope. Some attics with ducts running for long distances may be better served with an unvented attic assembly, such as the ones shown here. The two products most often used in an unvented attic assembly are medium- and low-density sprayed polyurethane foam (SPF). In typical construction and climates, building code tables can be followed when using SPF as an insulation and air seal. However, in cases where a vapour drive is consistently moving in one direction—such as cold-storage applications or swimming pools—it is prudent to conduct hygrothermal modelling or calculations to determine whether the proposed design is right for the application. Moisture calculations of building assemblies (i.e. hygrothermal modelling) and field observations demonstrate medium-density (i.e. 2-pcf) SPF eliminates potential for condensation in most climate zones and situations without venting or additional vapour retarder elements. As per ASTM E96, Standard Test Methods for Water Vapour Transmission of Materials, medium-density SPF has a perm rating of approximately 1.5 to 3.0 per 25 mm (1 in.) and an R-value of about 1.05 per 25 mm (6.0 per 1 in.). It has also been tested to perform as an air-impermeable insulation.1 This combination of low permeance, high R-value per inch, and air barrier characteristics effectively slows vapour flow, separates the exterior environment from the interior, and eliminates introduction of moisture-laden air. In other words, the physical properties and performance characteristics of SPF allow for the design of unvented attics and crawlspaces with minimal potential for condensation within. Hygrothermal modelling of building assemblies and field observations demonstrate low-density SPF can be used in warm and mixed climates without an additional vapour retarder element. However, in colder climates like Canada, an additional vapour retarder element is needed to prevent the potential for condensation. This is because low-density SPF has a permeance rating of between 8 to 15 per 76.2 to 127 mm (3 to 5 in.) and an R-value of approximately 0.616 per 25 mm (3.5 per 1 in.). When tested as part of an assembly, low-density SPF can be an effective air barrier. The result is the physical properties of low-density SPF effectively separate inside and outside temperatures and minimize air infiltration, but allow a higher rate of water vapour transmission than medium-density SPF. Either of these systems comes with a premium cost—typically two to three times the price of a blown fibreglass or cellulose vented attic assembly. Modern residential design consists of elevations that can create various attic spaces within the same building. For example, this author’s home has attic space accessible with a standard door on the second floor and an upper section that can be reached only via a ceiling hatch. Dormers are also attached, making it extremely difficult to insulate as an unvented assembly. Additionally, some of the attic space is over an outside deck while other sections are over the house’s interior space. Furnaces, ducts, and air-conditioning (AC) equipment run throughout the attic spaces on all levels, except the dormers and the space over the outside deck. When determining how to insulate this attic space, various assemblies were taken into consideration and a hybrid combination of vented and unvented attic space was planned. The dormers and the attic space over the outside porch were sealed off from the rest of the attic by making a wall of plywood, then insulating the wall with closed-cell sprayfoam (ccSPF). Following this, closed-cell SPF was also installed to the roof deck’s underside. Attics with small and unusual configurations might also benefit using unvented assemblies. 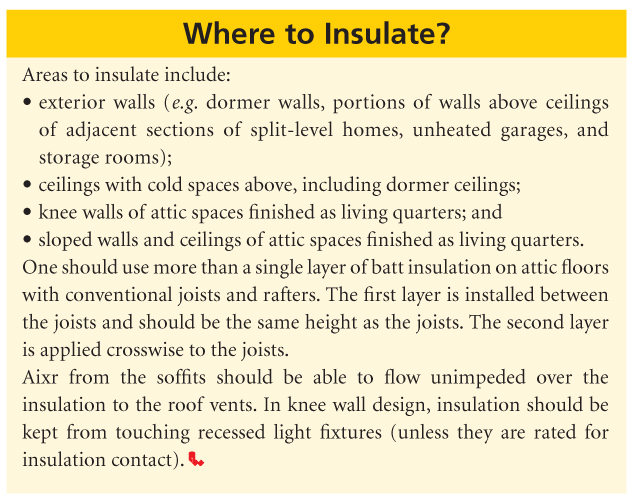 The Canadian National Energy Code for Buildings (NECB) does not specifically address use of vented and unvented attics, but does consider vented attic assemblies to be “exterior spaces.” Further, the code offers three options for providing minimum energy efficiency. The prescriptive path applies minimum thermal characteristics of the envelope elements and energy efficiency measures that can be stated as specific instructions. The trade-off path gives some flexibility, allowing the designer to vary the thermal characteristics of one or more of the envelope components provided the overall energy transfer does not exceed the total had all the components complied with the prescriptive requirements. The performance path allows even greater flexibility. If the designer can demonstrate the proposed design meets the ‘target’ energy efficiency performance as described in the prescriptive section, then any thermal characteristics (within limits) could be used. In the case shown above, a vented attic space would make much more sense than an unvented space. 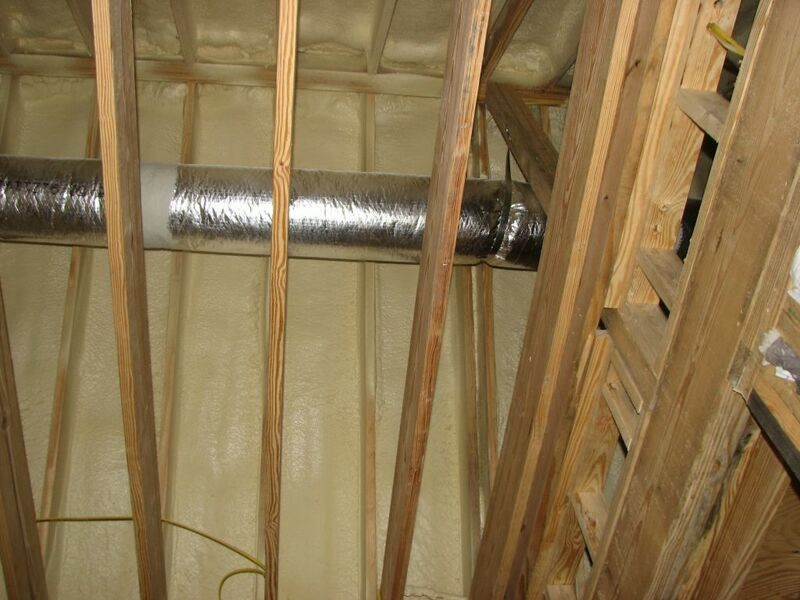 Insulating the floor of the attic would not only be easier, but it would also save energy. It should also be noted the air leakage rates of envelope components are set at a constant value of 0.25 L/m2 of the total gross above-ground wall and roof area. Vented attics are considered exterior space, while unvented attics are considered interior space. Acceptance of the unvented attics and crawlspaces concept has generated some worry from those unfamiliar with the physical properties and moisture-control capabilities of SPF. A common concern heard when specifying sprayfoam in these spaces is ccSPF installed to the underside of wood roof decks will lead to rotting because leaks go undetected due to the polyurethane’s water resistance. However, ccSPF repels liquid water. It seals cracks and crevices in the wood deck so any water getting past the roofing system stays atop the wood deck. Gravity then takes it down to the building’s edge and off the roof. If the exterior surface of wood is wet when the foam is installed, then drying would occur from the roof-side to the exterior, not through the wood to the foam. This would be the same if the foam was not in place. If the wood is saturated, industry best practice calls for not installing the foam. If foam is installed to wet wood, it is apparent to the applicator and there would be open cells and lower density, allowing absorption of water into the foam. In this case, leaks would show up on the interior. Regardless, a roofing system should be regularly inspected to detect evidence of roof leaks and potential roof-deck damage. 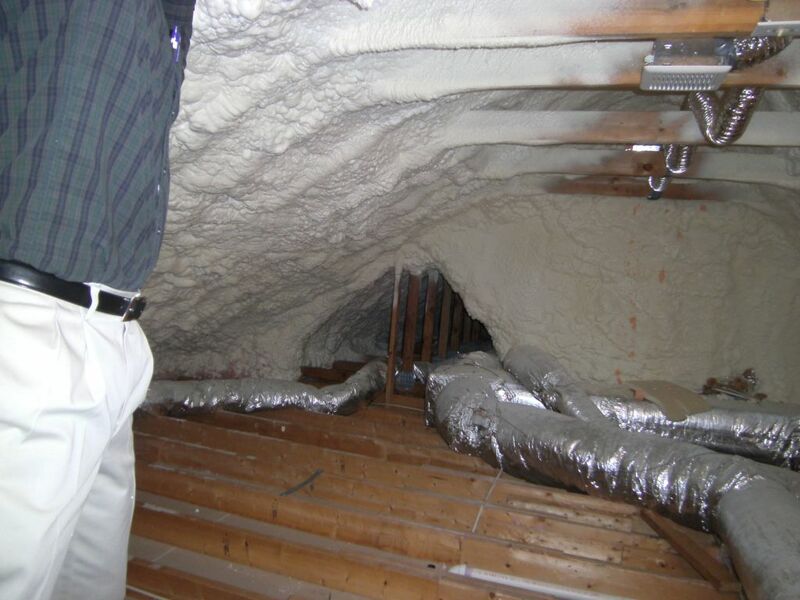 Foam insulation does not make damages more difficult to detect. For Canadian projects, SPF can reduce the potential for ice damming. It prevents warm air from reaching the underside of the roof where it could melt snow, causing water to flow down and refreeze into the eaves. It is important to extend the insulation beyond the interior stud wall along the soffit space. If the air gaps are not sealed at the top of the wall, warm air can heat the underside of the roof deck and potentially cause ice dams. Another concern is unvented attics with insulation installed to the roof deck’s underside cause shingle temperatures to be excessively high, reducing their life expectancy. Some asphalt shingle manufacturers specifically exclude warranties based on ‘inadequate attic ventilation.’ However, others allow use of SPF installed to the underside of roof decks in unvented attics in their warranties. 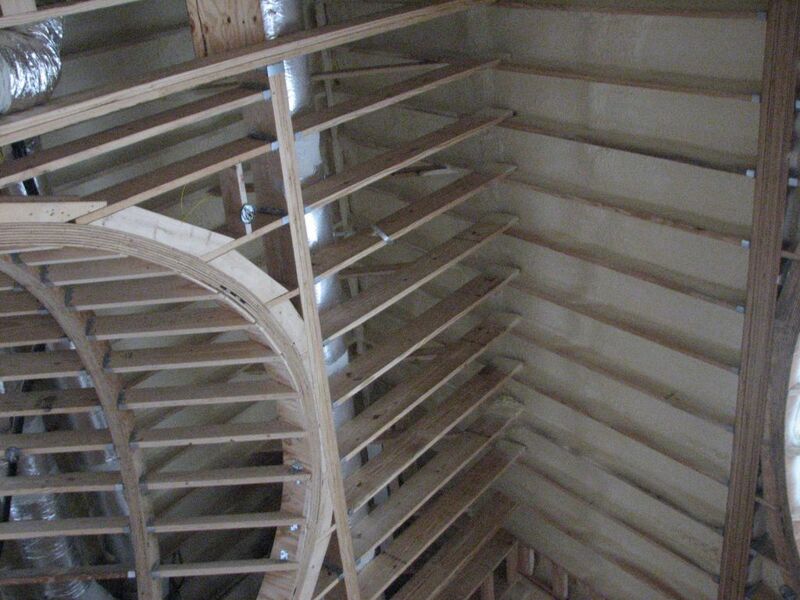 These two photos show a traditional vented attic assembly with both blown-in insulation (left) and batt insulation (right). Venting the roof deck reduces the average temperature of the roof –1.75 C (5 F), which is one-third the influence of the colour of the shingles, the aspect of the roof (direction it faces) and 1/36 the influence of geographic location. Since ccSPF is a vapour retarder, some believe it cannot be used in warm, humid climates as it prevents water vapour from going in and out of the assembly. Closed-cell spray foam has a perm rating of approximately 1.5 to 3.0 per 25 mm (1 in.) and an R-value of approximately 1.05 per 25 mm (6.0 per 1 in.) This combination allows a controlled moisture vapour flow, while separating the inside and outside environments. The result is better control of condensation within the building envelope so long as there is sufficient SPF insulation to prevent condensation. In most applications, 12.7 to 25 mm (0.5 to 1 in.) of SPF will suffice in warm and mixed climates, but for Canada’s colder environment, 38 to 63.5 mm (1.5 to 2.5 in.) is needed. It should be noted hygrothermal modelling calculations are recommended when atypical conditions occur, such as extreme environments and unusual construction or design. Another question on the use of sprayfoam is what happens when an applicator unintentionally sprays foam to wet lumber, particularly wet-framing members. Mark Bomber’s book, Spray Polyurethane Foam in External Envelopes of Buildings, reports on research that demonstrates ccSPF under typical building conditions (i.e. when installed over wood framing that has 28 to 35 per cent moisture content) took approximately 35 days to dry less than 19 per cent moisture content compared to 8.5 days to dry with no foam attached. It also reported the air-sealing qualities of the foam were retained. However, this article did not report consequences of installing closed-cell SPF to the cold side of a wall with a constant thermal gradient. For example, in Canada’s north, or in typical cold-storage facilities, the conditions would result in a moisture drive constantly in one direction—drying would be slowed to the point where wood decay could occur. Regardless, the SPF industry does not recommend spraying either open or closed-cell foam on wet or damp surfaces because the foam adhesion will be affected. Similar to painting and coating applications, substrates to receive SPF of all types should be relatively dry (e.g. wood at an 18 per cent moisture content maximum). This can be easily checked with a moisture meter. Installers know instantly whether the wood surface is wet, because the liquid reacts with the moisture, causing a colour variation and poor foam rise. It is important for a specifier to take all these factors into consideration before drawing up plans and making a final recommendation. 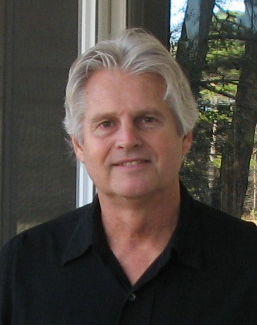 Mason Knowles is president of Mason Knowles Consulting LLC, specializing in providing educational/training, troubleshooting problem applications, technical services and articles, and presentations specific for the spray foam industry. 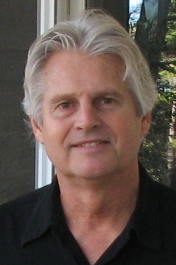 He has almost 45 years of experience in the sprayfoam industry as a contractor, sprayed polyurethane foam (SPF) and equipment manufacturer, and trade association executive. Knowles chairs the ASTM Subcommittee on Spray foam Roofing and the ASTM Task Group responsible for ASTM C 1029, Spray-applied Polyurethane Foam Specification. He is a Sprayed Polyurethane Foam Association (SPFA)-accredited building and roofing inspector and an instructor for SPFA courses for applicators and inspectors. Knowles is a member of the International Code Council (ICC), RCI International, Insulation Contractors Association of America (ICAA), SPFA, Building Enclosure Technology and Environment Council (BETEC) and Roofing Industry Committee on Weather Issues’ (RICOWI’s) Hurricane and Hail Investigation Teams. He can be contacted via e-mail at masonknowles@aol.com. What do you think about leaving ridge and soffit vents open for gas appliance combustion purposes? Will this increase risk of wood rot from either open or closed cell spray foam on roof sheathing?